BD-R or Blu-ray Disc Recordable is a high capacity optical disc format that can be written only once with audio and video data. 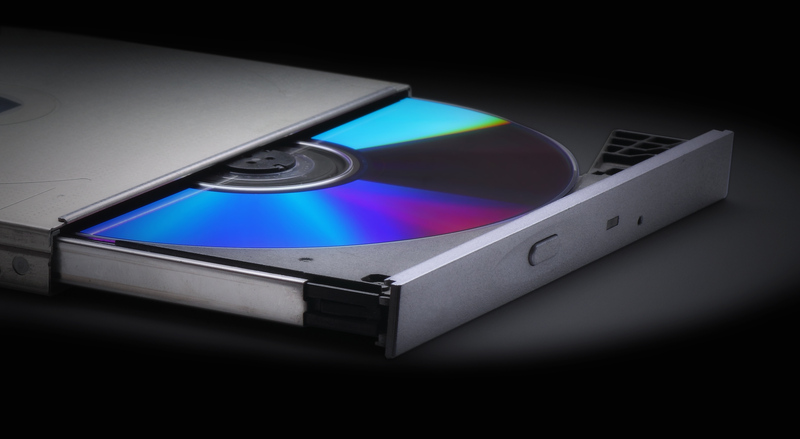 The discs are available on the market in single or dual layers depending on the user’s media needs. A single layer BD-R holds 25GB while a dual layer holds 50GB of data. For the higher capacity, this translates to more than 9 hours of high definition video or 23 hours of standard definition video that can be recorded on a 50GB disc. The technology for even higher storage capacity is also expanding for Blu-ray. Users will see the quality and storage capacity reflected in the price of BD-R discs, up to 10 more than a comparable DVD-R. Currently, manufacturers mainly operate with inorganic alloyed materials for the recordable layers; however, testing with phase-changing technology and organic dyes like its CD and DVD predecessors is ongoing. A BD-R’s single layer disc begins with a spiral grooved polycarbonate layer. A metallic alloyed reflective layer is subsequently added followed by a zinc sulfide and silicon dioxide layer that serves as an electrical insulator or dielectric to draw excess heat away from the recordable data layer. Next there is a polycarbonate base cover layer and then a clear hard coating designed to protect the disc. A double layer BD-R disc employs the same construction concept as the single layer, but with more intricate modifications. It starts with a spiral grooved polycarbonate substrate plus reflective and dielectric layers like its single layer counterpart. Next comes the disc’s first recording layer followed by another electric insulation barrier, a spiral grooved adhesive layer and another dielectric layer to remove unwanted heat. A second recording layer follows along with a third dielectric layer. The dual layer disc is topped off with a polycarbonate-based cover layer and a protective clear coating.